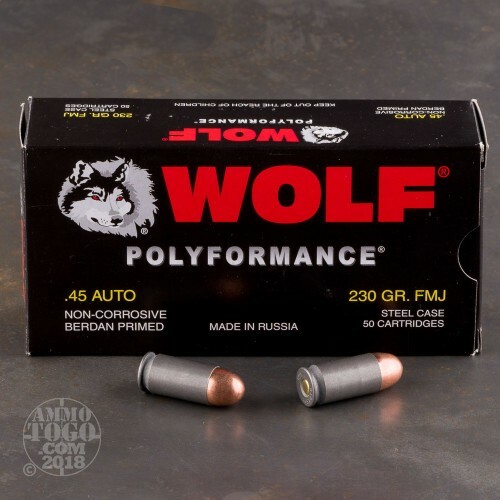 This is 45 ACP WPA Polyformance 230 grain, full metal jacket (FMJ) ammo. This bulk 45 auto ammunition is manufactured in Russia. 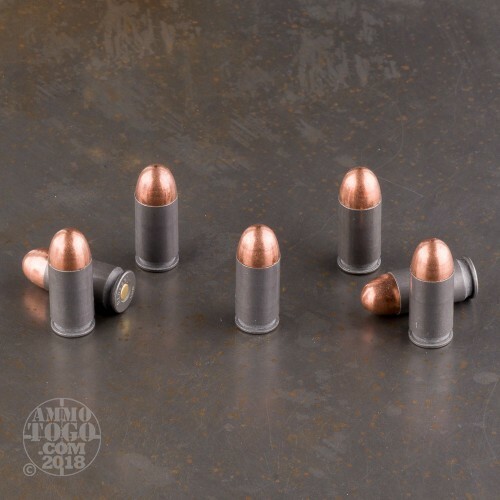 It has a polymer steel case and is sealed for moisture protection but is not a great candidate if you're the type of shooter who picks up casings for reloading. 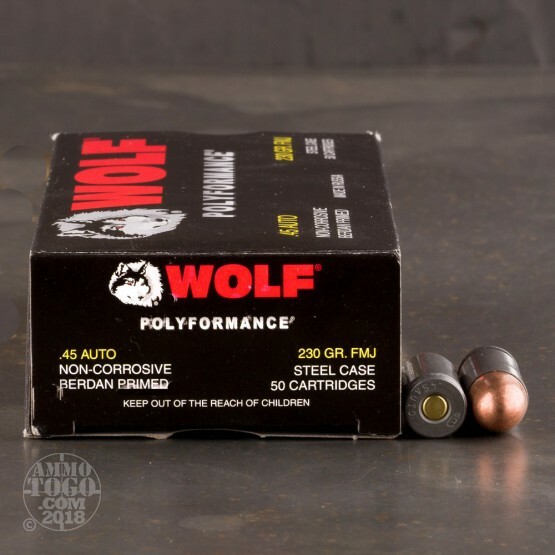 This 45 auto ammo comes packed in 50 round boxes with a total of 500 rounds per case. 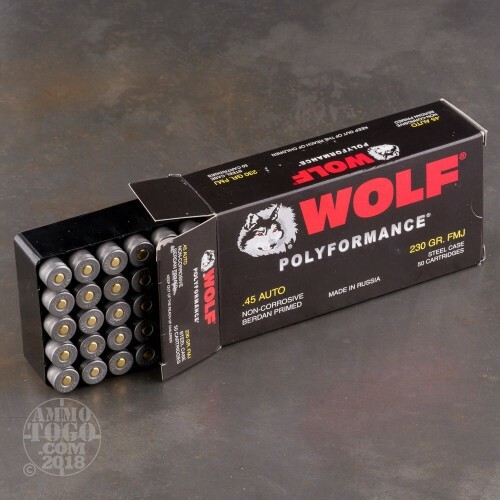 Known for it's reliability at a cheap price, you can't go wrong with Wolf for your next range training trip. When mamma won't give you a large allowance, pennies matter and this stuff fits the bill. It works well in my 220 and both 1911's and is plenty accurate enough for practice and plinking. Ammo works fine in my Sig P220. No feed problems, 1 misfire in 500 rounds. Accurate, performs well.